Chameleon Power, Inc. (licensor) licenses its Software technology on a monthly or annual basis per formal agreement signed by Chameleon Power and its licensee/customer. All agreements signed by Chameleon Power and its licensee/customer are subject to the terms and conditions of those agreements signed by both parties. The purpose of this policy is to discourage unlicensed users from utilizing Chameleon Power Software and services without a formal agreement. Software Usage – defined as the use of Chameleon Power proprietary Software hosted by Chameleon Power or other authorized third party. Unlicensed usage of Chameleon Power Software and services will incur a monthly usage fee of $5,000 per month. This does not include the cost of Image Usage (section 2 below) and Product Usage (section 3 below). Image Usage – images are defined as any room scenes, exterior photos, patterns, designs or other images created or edited by Chameleon Power for use within Chameleon Power Software. A usage fee is incurred by unlicensed users of Chameleon Power Software at a cost of $25 per use. For purposes of this section, usage is defined as selecting a scene/image for use within unlicensed visualizer or other Chameleon Software, and measured by Chameleon Power activity recording. For example, if a website visitor/user selected five (5) room scenes during usage of unlicensed Chameleon Software, the user has incurred an obligation to Chameleon Power of $125 (5 x $25). The owner of the website that refers this user to Chameleon Power unlicensed Software is obligated for all costs incurred. Product Usage – products are defined as any products or materials available for selection and viewing within Chameleon Power Software. 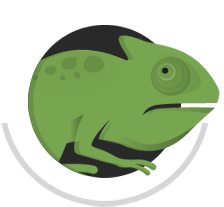 A usage fee is incurred by unlicensed users of Chameleon Power Software at a cost of $22 per product selection within Chameleon Software. For purposes of this section, usage is defined as selecting a product and applying to a scene/Image for use within the unlicensed visualizer, and measured by Chameleon Power activity recording. For example, if a website visitor/user selected a scene/image and applied five products during visit, the user has incurred an obligation to Chameleon Power of $110 (5 x $22). The owner of the website that refers this user to Chameleon Power unlicensed Software is obligated for all costs incurred.